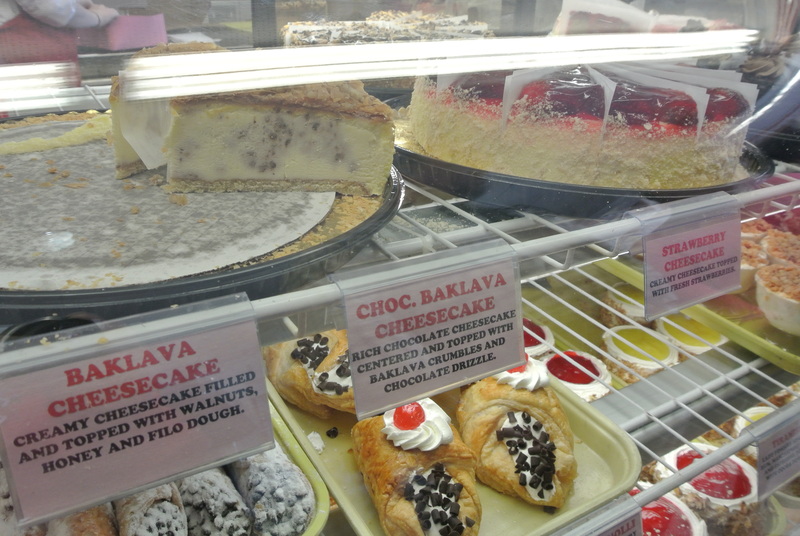 You can’t have the highest concentration of Greek Americans in the U.S. and not have a greek bakery! 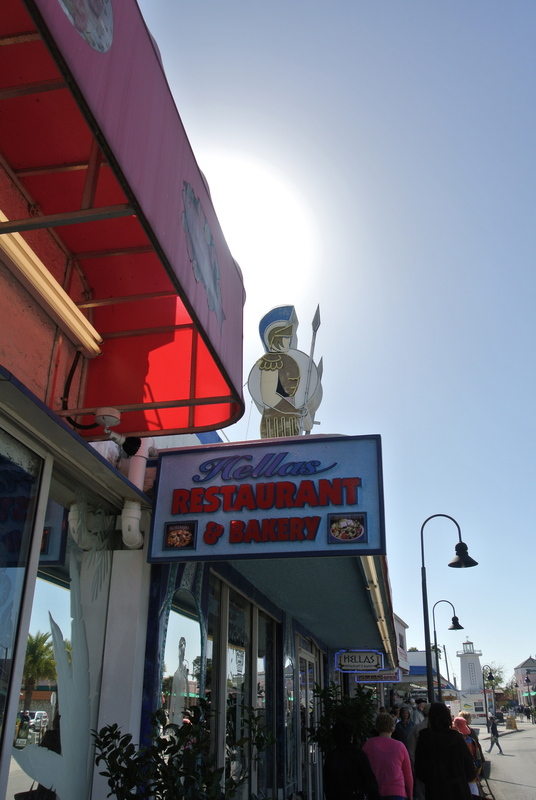 One of the busiest places on the Sponge Docks is a greek bakery called “Hellas Bakery“. It was packed as we entered with the order line practically out the door. 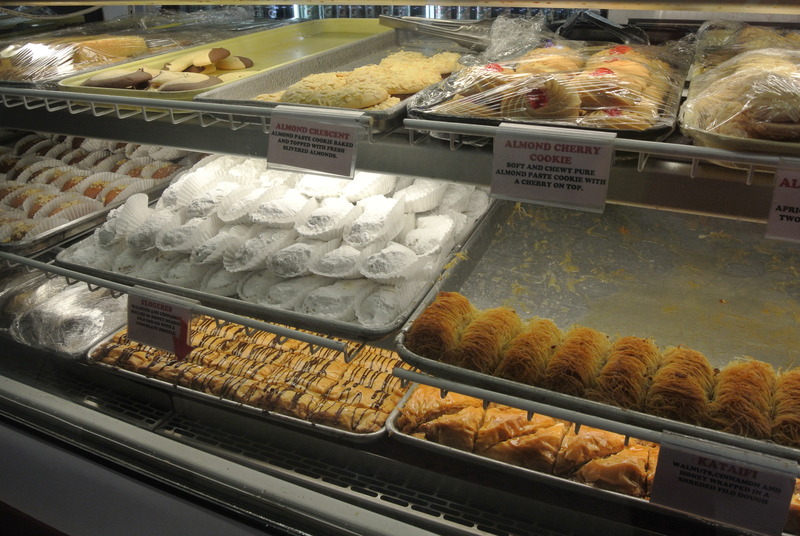 Every now and then, I have an absolute craving for baklava and well, let’s just say I think I’m good for awhile. 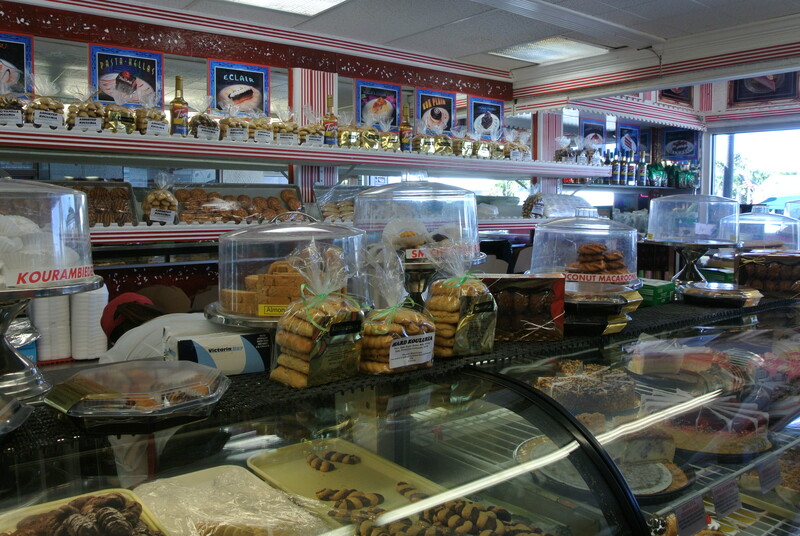 This place had baklava in everything! 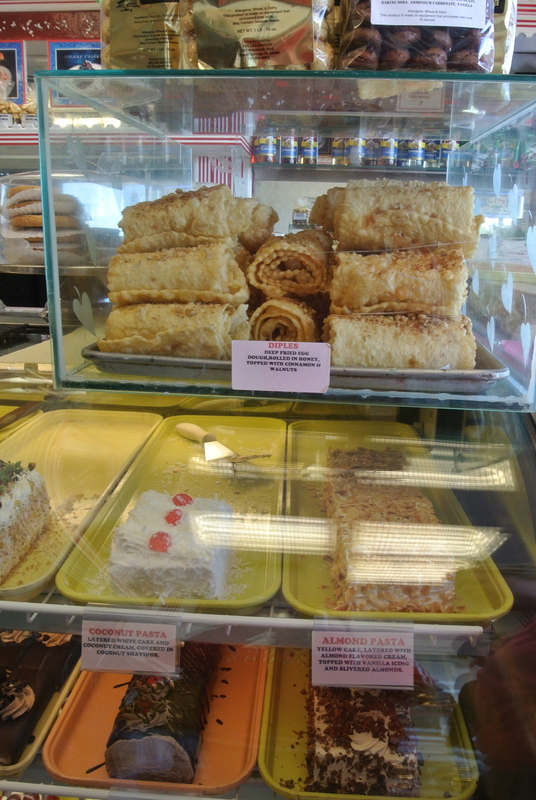 Of course, it had the traditional pastries like traditional baklava, kataifi and flogeres but you take a closer look and you discover items like baklava cheesecake, baklava tiramisu, greek canolis and chocolate baklava! So, you know we have to try some! 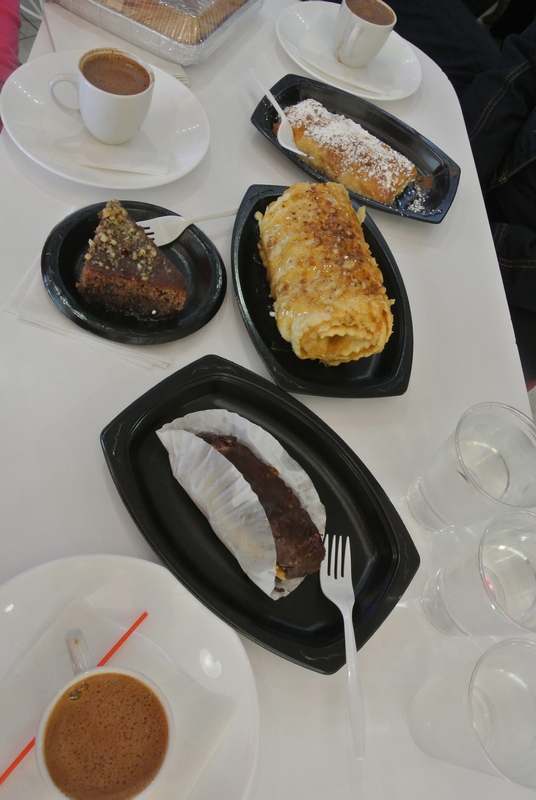 We ordered four pastries and three greek coffees. 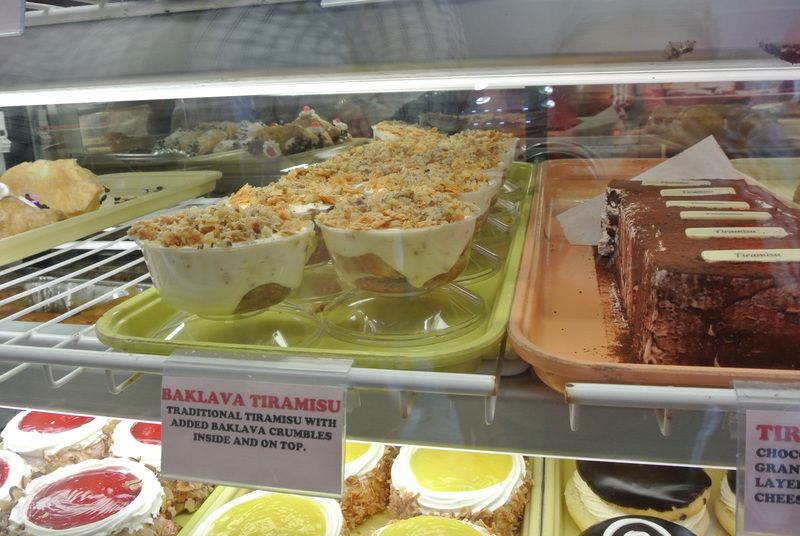 Everything tasted delish, especially the chocolate covered baklava! Watch out for the coffee, it is strong – espresso like and grainy because its not filtered so we learned that you need to wait for a few minutes for the coffee grounds to settle before sipping. Enjoy the photos, I’m going to miss this place! 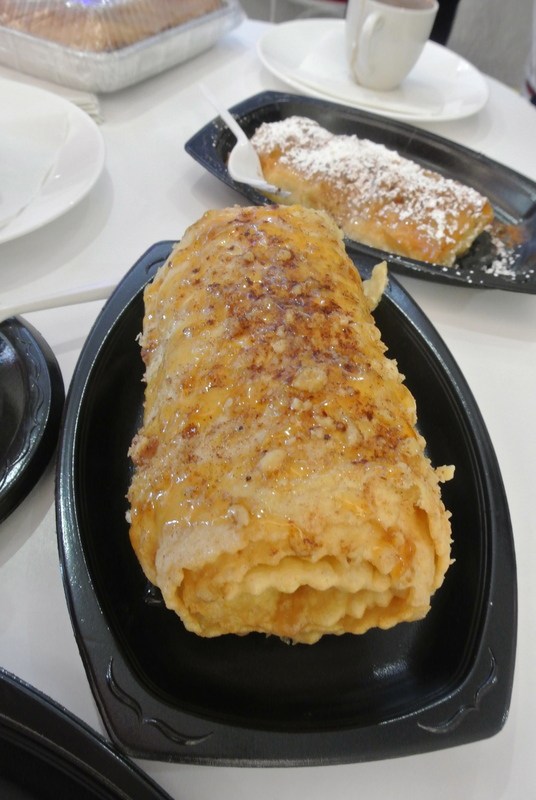 A large stack of diples – YUM! Baklava cheesecake – cheesecake sandwiched between layers of phyllo. 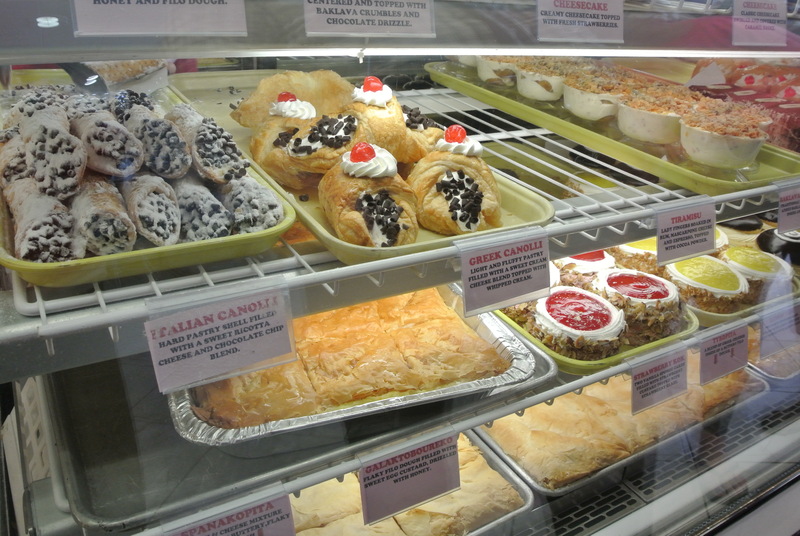 Our smorgasbord of greek sweets. A close up look at the diples. 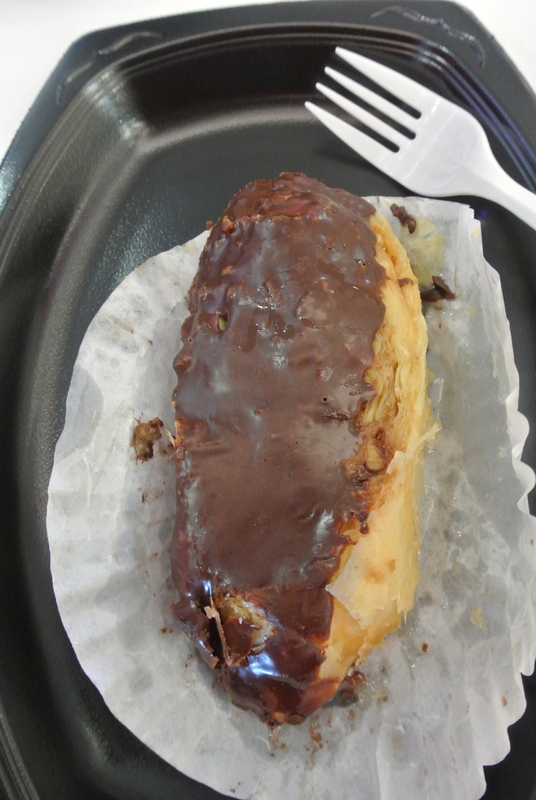 Chocolate baklava – what a great combination, both great on their own but yummy as a combination!